Friday, March 30, 11 a.m. EDT: Trayvon's email and Facebook allegedly hacked by white supremacist: A white-supremacist hacker says that he has broken into Trayvon's email and social networking accounts and leaked his private Facebook messages. Gawker reports that at least one email account that belonged to Trayvon was cracked. Thursday, March 29, 9:58 a.m. EDT: Oprah speaks out about Trayvon: In an interview with Extra, Oprah Winfrey said, "It is a tragedy and it is a shame that we're sitting here 33 days later and there hasn't been an arrest or questioning of what actually happened. It's a tragedy and it is a shame, and we all know it." She said George Zimmerman is the person involved in the story whom she would most like to interview. Thursday, March 29, 9:30 a.m. EDT: Fox doctor says Obama's son would look nothing like Trayvon: Responding to President Obama's commentary last week ("If I had a son, he'd look like Trayvon"), Fox News doctor Keith Ablow told Lou Dobbs last night, "If the president had a son, he wouldn't look anything like Trayvon Martin. He'd be wearing a blazer from his prep school, he'd be driving a Beemer and he'd be surrounded by Secret Service," the Huffington Post reports. He added about the president, "He's got it in for this country." Wednesday, March 28, 1:30 p.m. EDT: Spike Lee tweets wrong Zimmerman address: An elderly couple have fled their Sanford-area home after a tweet — disseminated by Spike Lee — mistakenly gave their address as that of George Zimmerman, the man who shot and killed Trayvon Martin in Florida last month, the Orlando Sentinel reports. Wednesday, March 28, 1:08 p.m. EDT: Congressman thrown off House floor for wearing hoodie: Rep. Bobby Rush (D-Ill.) was thrown off the House floor Wednesday after wearing a hoodie and sunglasses in protest of the Trayvon Martin shooting, the Huffington Post reports. "Racial profiling has to stop," Rush said as he peeled off his suit jacket to reveal a hoodie underneath, at which point he pulled the hood over his head and replaced his glasses with sunglasses. "Just because someone wears a hoodie does not make them a hoodlum." Wednesday, March 28, 10:14 a.m. EDT: Investigator wanted manslaughter charge: The lead homicide investigator in Trayvon Martin's shooting recommended that neighborhood-watch captain George Zimmerman be charged with manslaughter the night of the shooting, multiple sources told ABC News. Tuesday, March 27, 3:35 p.m. EDT: Trayvon's mother wants to trademark his name: The Associated Press reports that Trayvon Martin's mother, Sybrina Fulton, filed applications last week with the U.S. Patent and Trademark Office to trademark two slogans associated with the deceased 17-year-old: "I Am Trayvon" and "Justice for Trayvon." The family's trademark attorney, Kimra Major-Morris, said in an email to the AP that Fulton wants to protect intellectual property rights for "projects that will assist other families who experience similar tragedies" and has no profit motive. Tuesday, March 27, 10:25 a.m. EDT: Focus switches to Washington: Trayvon's parents and family attorney are expected to attend a forum on racial profiling, hate crimes and "Stand your ground" laws, sponsored by Democratic members of the House Judiciary Committee, CNN reports. Meanwhile, a planned White House march and protest will call on President Obama to demand a full-scale civil rights investigation into his death. Tuesday, March 27, 9:30 a.m., EDT: Trayvon's parents defend him: The slain teen's parents say that police are attempting to ruin their son's reputation by bringing up his school suspension. Watch a video of their comments at CNN. Monday, March 26, 8 p.m. EDT: Police officer suspended for "die like a thug" comment: The Huffington Post reports that a New Orleans police officer who was placed on desk duty after a shooting has been suspended for posting a comment on a local television station's website about the fatal shooting of Trayvon Martin. Officer Jason Giroir identified himself as a New Orleans Police Department employee when he wrote, "Act like a thug die like one!" in response to a WWL-TV article about a rally supporting Martin. Monday, March 26, 7 p.m. EDT: Senators wear hoodies in honor of Trayvon: Six New York state senators donned hoodies in the Capitol chamber Monday to express their outrage at the deadly shooting of a black youth, NBC New York reports. The senators, four of them black and two white, wore their gray-and-blue suit coats over their hoodies and wore ties, all in conformance with the Senate rules. Monday, March 26, 2:30 p.m. EDT: Shooter details his story: The Orlando Sentinel is reporting on George Zimmerman's version of the events that led to Trayvon Martin's death: He says he had turned around and was walking back to his SUV when Trayvon approached him from behind, the two exchanged words and then Trayvon punched him in the nose, sending him to the ground, and began beating him. Zimmerman told police he shot the teenager in self-defense. Trayvon's friends have said that account is hard to believe because they never knew the teenager to fight or be violent. Monday, March 26, 2:15 p.m. EDT: Trayvon suspended over marijuana: The Miami Herald reports that, before he was killed by neighborhood-watch captain George Zimmerman, Trayvon Martin was suspended from school because he was caught with an empty plastic bag with traces of marijuana in it, according to his family attorney. Monday, March 26, 9:45 a.m. EDT: March and Town Hall Planned in Sanford: Civil rights activists the Revs. Al Sharpton and Jesse Jackson Sr. are expected to join Trayvon Martin's parents today at a town hall meeting to discuss with the community the shooting death of the unarmed teenager, the Orlando Sentinel reports. A protest is planned in advance of the meeting. Sharpton tweeted this morning that he spent much of Sunday night meeting with Trayvon's parents and their lawyers "about the legal and movement strategy for justice." The Sentinel has the details of today's schedule of events. Sunday, March 25, 3 p.m. EDT: Philly mayor calls shooting "assassination": During an appearance Sunday on MSNBC, Philadelphia Mayor Michael Nutter referred to the shooting of the 17-year-old as an “assassination," saying, "I've called this nothing short of an assassination. There was no reason for that individual, Zimmerman, to do what he did. Trayvon was not doing anything and was not a threat, based on all the information and evidence and 911 tapes that have been released. It was incomprehensible to me why an individual would do something like this unless he had something else either in his heart or on his mind." 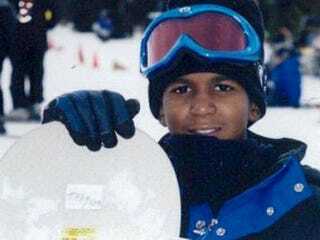 Read last week's news about Trayvon Martin here.